OK so the image above probably gives the game away so for the nay sayers out there, yes I failed to get to 85, but I don’t think I have actually failed because I learned a lot about myself, the way I play the game, the way the game works and more importantly answered a lot of questions about how other players the game too. As experiments go I’d say it was a really good experience and I was always going to succeed whatever happened, I just didn’t realise that my success criteria was not limited to hitting 85 and sticking to the rules. WoW Ironman, was something I learned about from Branchy, a friend from Saturday Knight Fever over on Shadowsong EU who challenged me to try. I thought initially that it was a stupid idea but as I did take time to read about it I realised that it could be a fun thing to do to see how far I could get. This combined with more conservative playstyle allowed me to get to 48 before falling foul to a death by a disconnect. Sadly I have only myself to blame as it was my 2nd DC in 5 minutes, the first one I managed to escape with my life , presumably my pet finished the mob off and left the area safe. This should have been followed by me hearthing and logging off, but wanting to play get to 50 that fateful day I was just too eager to play on. I know now I was a fool. As I mentioned earlier I still learned loads and that is always good and I’ll now share those learnings with you, because dear reader, you are worth it. Low level characters are a lot more powerful than they were in Vanilla. 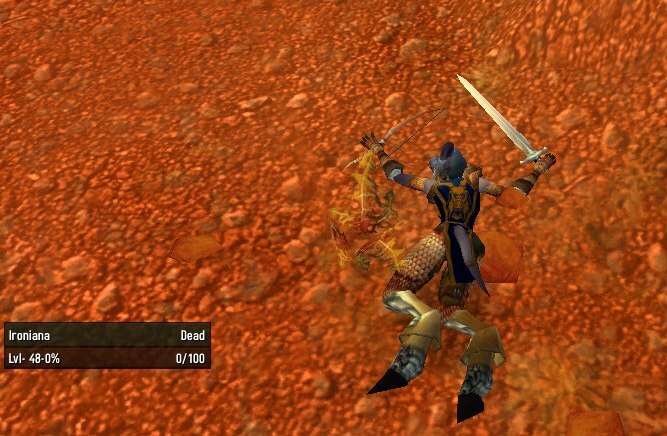 My WoW Ironman challengers had nothing to boost their output and yet I was still killing creatures as fast as I did in 2005, with gear, talents and buffs from consumables. I was also leveling a heck of a lot faster I had less than 2 days played at level 48, Evlyxx had 26 days played the day I dinged 60, sure I wasn’t as focused on power leveling and was still learning how to play an MMORPG but there is no way that accounts for the difference. This is what I think has fundamentally changed the game and not for the better because the reason that old players play a certain way is because they had to back in Vanilla. You had to learn to slowly clear our way in and clear our way out to get to quest objectives we could not simply round em up and AoE them down as every class can now while leveling. That said I do think that the old way wasn’t ideal and there should be a sensible middle ground where leveling is as fast as it is now but the fights are actually fights not a series of 2 shot encounters, make characters learn their class, make them have to CC mobs when questing solo, give mobs health pools on par with our character’s damage output, make fights last longer even if this means packing mobs less tightly and increasing the XP per kill. Even in Ironman mode I was able to comfortably able to kill the rare spawns which generally have 400% of a normal mobs hit points (and 1000% XP!) and I was killing them in 15-20 seconds with ease. A character with bad talents, bad gear selections from quest rewards and random drops will have a much easier time even with this new model and a well talented, correctly statted, heirloomed up toon will still blitz the content as they do now, just with the need to perform DPS rotations rather than just mash the keyboard. 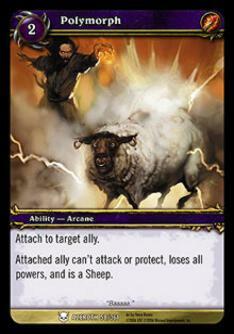 This in turn would make better players for the end game who don’t expect fights to be over in 3 globals. As much as I would like to wind you up and say that my mystic meg type prediction came true i am gutted for you really dude.